A bold, beautiful red to add a pop to your outfit! JA-VIE True Red Flats are perfect for Valentine's Day! I absolutely love the stunning red color and how comfortable my feet feel in these True Red JA-VIE Flats! 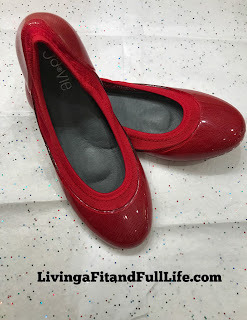 These True Red JA-VIE Flats have a cushioned leather insole that hugs my feet like none other. I also love how easy they are to clean due to their jelly out-sole. These flats literally have the best arch, ball and heel support of any flats I've ever tried on. If you're looking for the perfect shoe this Valentine's Day then look no further! 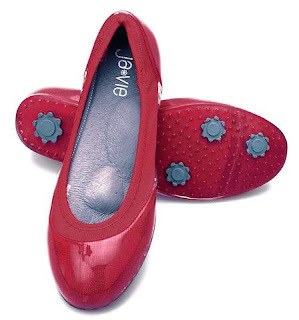 JA-VIE True Red Flats look great whether you're going out on a casual date or you dress it up for a night on the town. They're absolutely perfect and your feet will thank you when you return home!